Tracing the Rainbow looks at bereavement through the eyes of a psychiatrist - and through the eyes of those who have mourned themselves. A mixture of information, interviews and practical advice, it seeks to answer the questions - what is grieving? How does it affect people physically, emotionally, mentally and spiritually? How can those who mourn help themselves? How can those around them help them? What is normal grief? When does grief become abnormal and in what way? How do childhood experiences influence our ability to grieve, and what can we do about it? Pablo Martinez and Ali Hull concentrate on the two greatest losses that face us: death and divorce, and seek, through a mixture of intensely personal stories and gentle psychiatric insight, to provide tools for getting through the hardest times in life. Tracing the Rainbow: Walking Through Loss and Bereavement by Pablo Martinez was published by Spring Harvest in November 2003 and is our 15613th best seller. 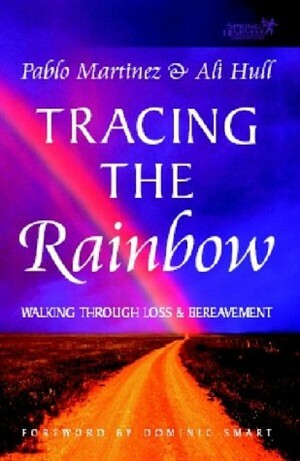 The ISBN for Tracing the Rainbow: Walking Through Loss and Bereavement is 9781850784876. Be the first to review Tracing the Rainbow: Walking Through Loss and Bereavement! Got a question? No problem! Just click here to ask us about Tracing the Rainbow: Walking Through Loss and Bereavement.